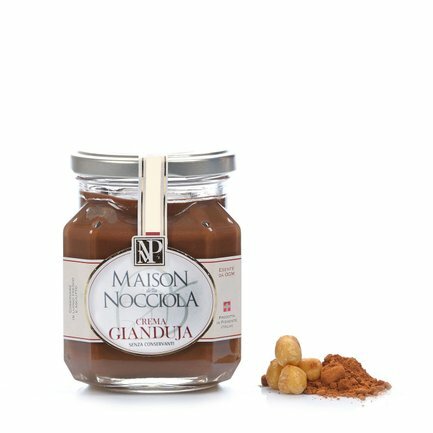 The Gianduja Cream made by Maison della Nocciola Piemonte is a world famous Piedmont confectionery speciality. 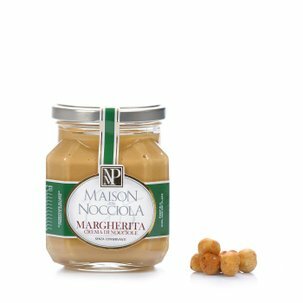 Made with 52% of Piedmont IGP hazelnuts, with no added preservatives or fats, this delicious cream is perfect for a high energy breakfast or a tasty snack. Thanks to its amazing versatility this cream is often used for the preparation of cakes, tarts and small pastries. Ingredients PIEDMONT HAZELNUTS IGP (52%), cane sugar, low-fat cocoa, SKIMMED MILK POWDER, cocoa butter. Emulsifier: SOYA LECITHIN. Vanilla Pods For more information on product labels, please contact our Customer Service department. The information on the labels of the products may vary for reasons beyond our control, therefore, there may be discrepancies between the information on the site and that on the products delivered. Please always check the information on the product before consumption or use.